Written by: Joe Rutter | October 24, 2018. Never going out of fashion, the classic checked shirt is a popular choice as the latter months of the year roll in. Checked shirts are versatile, reliable and there is a reason why just about everybody ever has probably owned one at some point. Ranging from the timeless and loose lumberjack style to the more discreet, smaller patterned office-friendly look. Buttoned up, buttoned-down, over a t-shirt or hoodie, or even under a jumper- there’s bound to be a checked shirt that will have your back this Autumn. 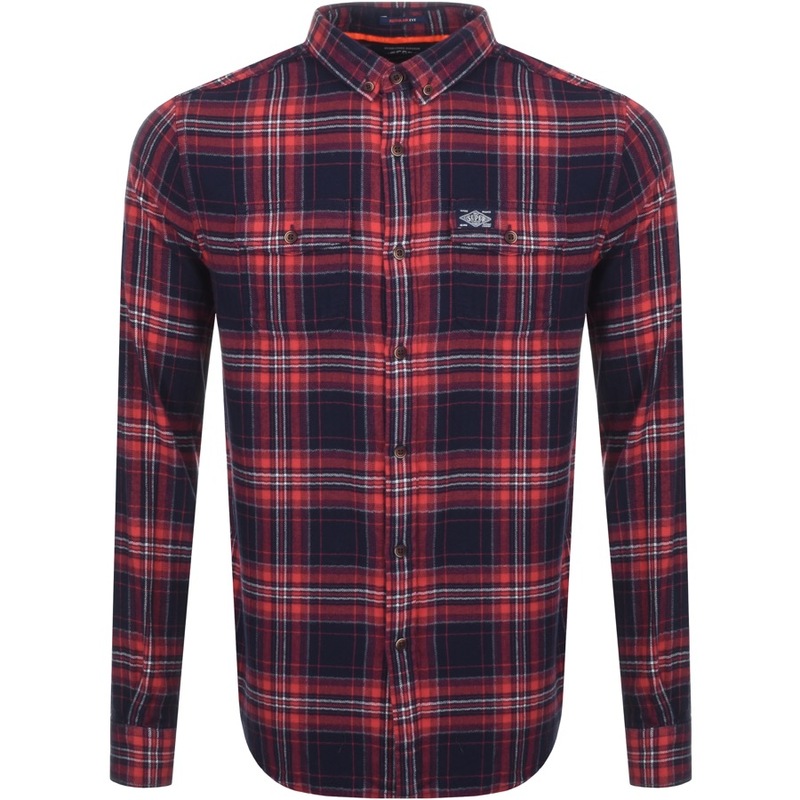 First up, and at only £45, Superdry present this very reasonably priced shirt that offers a fantastic soft cotton woven design that opens the door to the ideal casual look this Autumn. The relaxed fit allows for layering up, perfect with a plain t-shirt or hoodie underneath to give you that extra bit of warmth as the temperatures start to spiral. Partner this shirt with a pair of simple blue jeans accompanied with boots and you’re well on your way to mastering the casual checked shirt look. 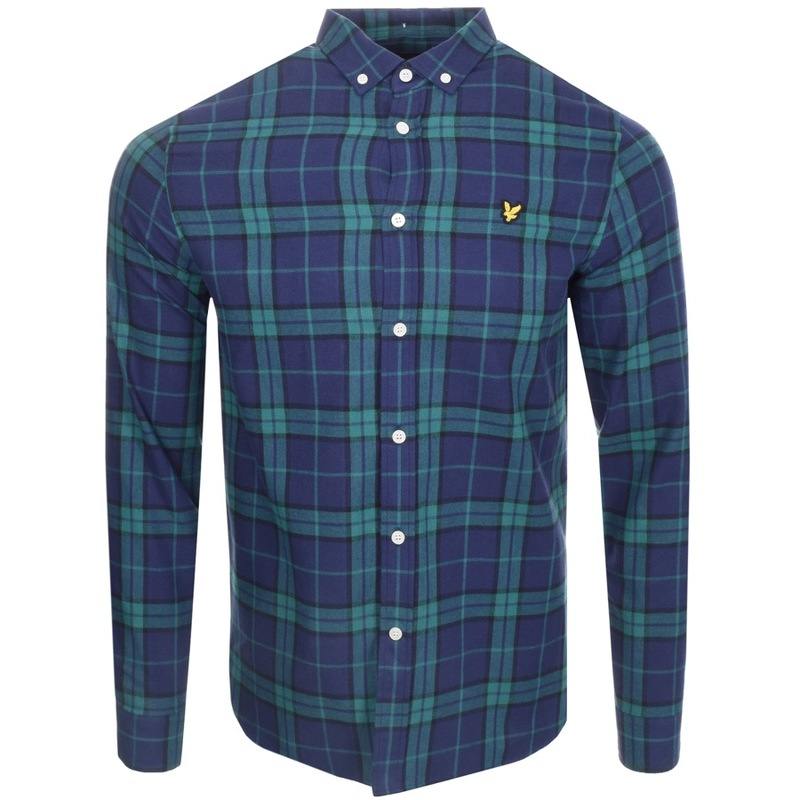 At £70, Lyle and Scott offer a variety of colours in this checked shirt style. This woven, flannel shirt comes in alpine green, black and navy offering an alternative to the traditional red based lumberjack-esque designs but still maintains the classic look. To avoid going too blue heavy this autumn, complete the casual outfit with black jeans. 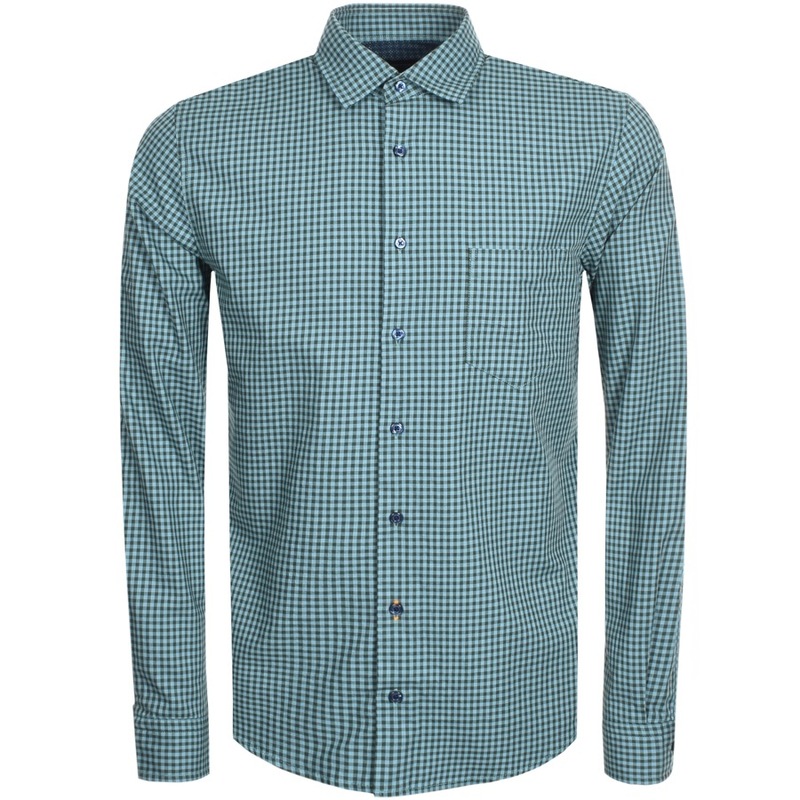 An alternative offering for the checked shirt look is Boss’ more subtle checked gingham shirt in green. Priced at £79, this shirt is a more formal, discreet pattern that is perfect for the workplace or maybe that date this weekend? Not TOO formal, but definitely smart enough to impress in the right environment, Boss has brought a great option to the table. In a slim fit, this alternative is ideal buttoned up as the main feature to the top half of your outfit. Or if it gets particularly chilly out this autumn, it is also ideal under a plain jumper. Moving up in price Ralph Lauren offer this fantastic high-quality casual look checked shirt in purple, red, blue, yellow and green. The checked pattern remains neat but definitely casual enough to be worn buttoned up or down. Coming in a slim fit, this option will look perfect with a plain t-shirt underneath to maintain a casual but clean look. Finish the style with blue jeans and Chelsea boots for a solid autumnal outfit. 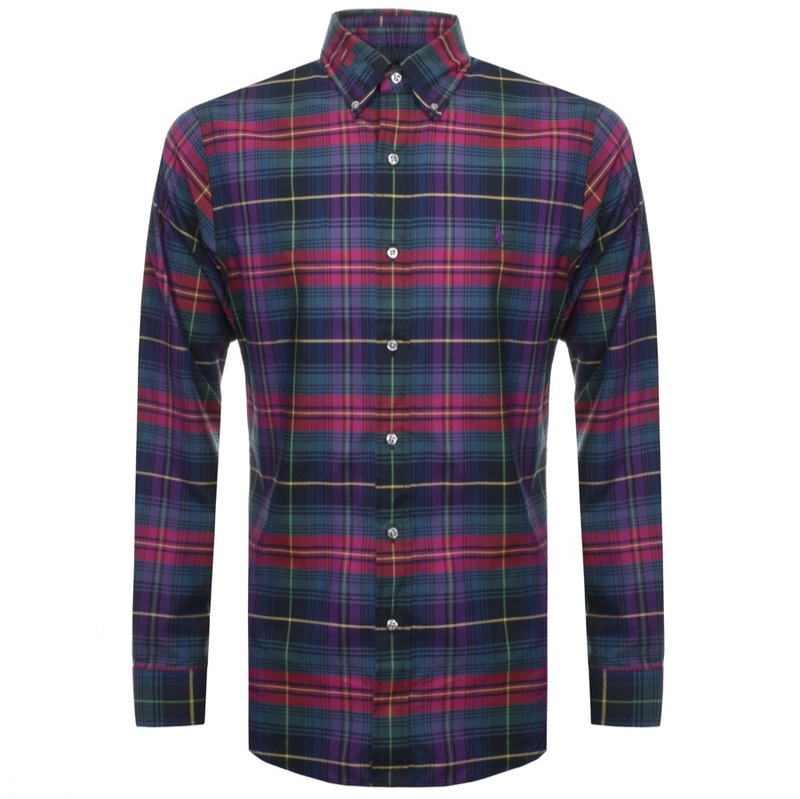 Heading up in price we have this brilliant, darker shirt from Paul Smith. The black base to the shirt offers a different angle on the timeless checked shirt look which we love. Coming in a standard fit, and subtly coloured with only black and blue, Paul Smith are presenting you with a fantastic casual alternative for the back end of this year that will fill you with enough confidence to know that you will absolutely be wearing the best checked shirt in the room. To complete your checked shirt look, check out our website to see the what else we have available at Mainline Menswear? No doubt you’ll find something to help you show off your checks this Autumn and Winter.